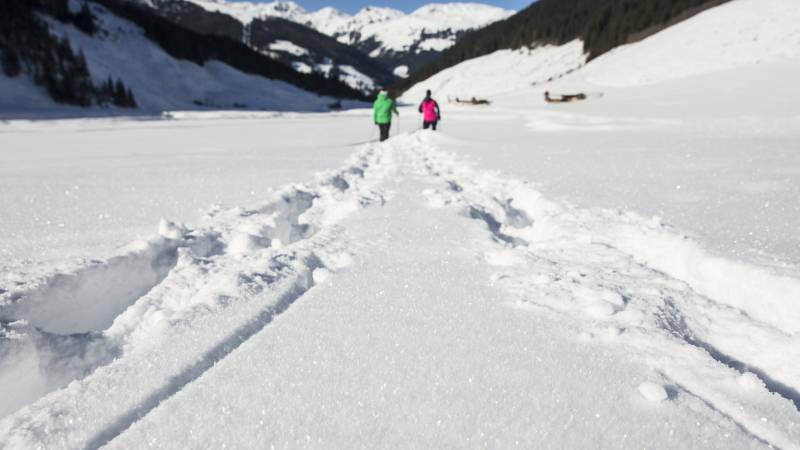 The Hohe Tauern National Park is a very special location for your winter holiday. The holiday region around Krimml presents innumerable opportunities for every type of winter sports and also unique natural spectacles like the Krimml Waterfalls. 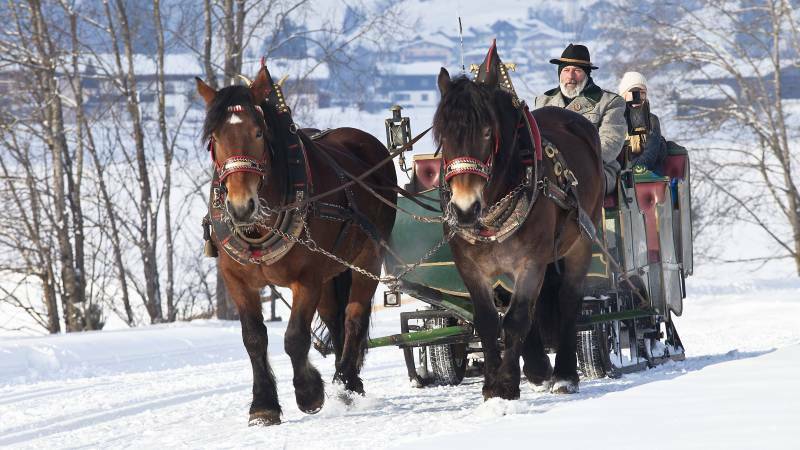 Especially in winter, traditions and customs play an important role in the Salzburger Land. The delicious cuisine, which you can enjoy in the Klockerhaus or in every mountain restaurant in the Pinzgau, completes your winter holiday down to the smallest detail. Thanks to the imposing high mountain landscape, the Hohe Tauern National Park presents perfect conditions for fantastic winter holidays. Those who visit Krimml for a skiing holiday ppreciate the proximity to skiing areas like the Zillertal Arena (143 km of ski runs) and the Wildkogel Arena (55 km of ski runs). Both ski resorts can be reached within a short time (about 7 minutes). Also the Kitzbüheler Alpen ski area (179 km of ski runs) is only a 20 minutes’ drive away. And the best: You need only one ski pass for the Zillertal and the Wildkogel Arena! If you ski three days or longer, you can get a single ski ticket for both ski resorts. Every single one of these ski areas offers not only first-class slopes but also a stunning mountain panorama. 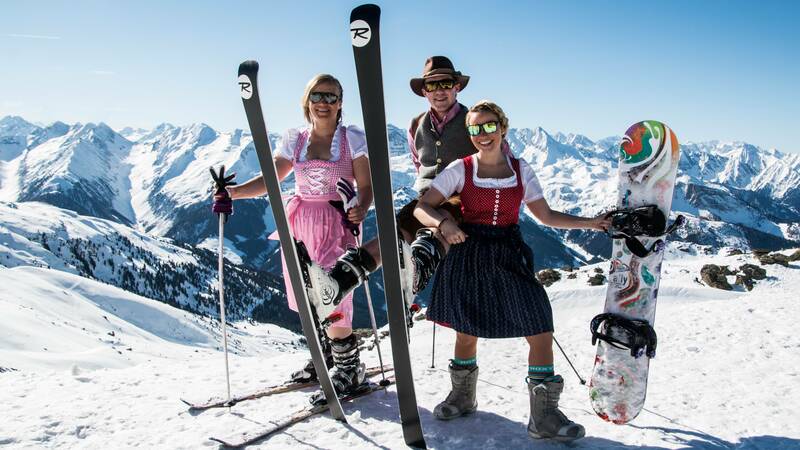 Our guests appreciate a varied winter sports programme and plenty of fun on the slopes and apart from it – of course also when enjoying typical Austrian après-ski. 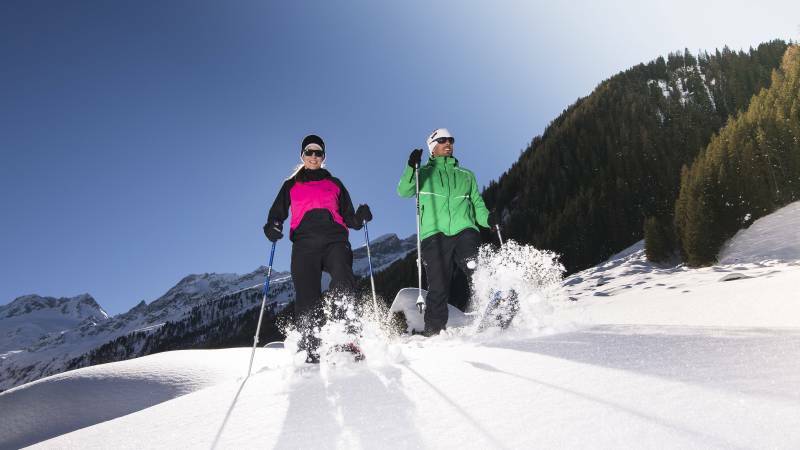 Furthermore, the extended network of cross-country ski courses in the entire Pinzgau provide variation for your cross-country skiing tours. 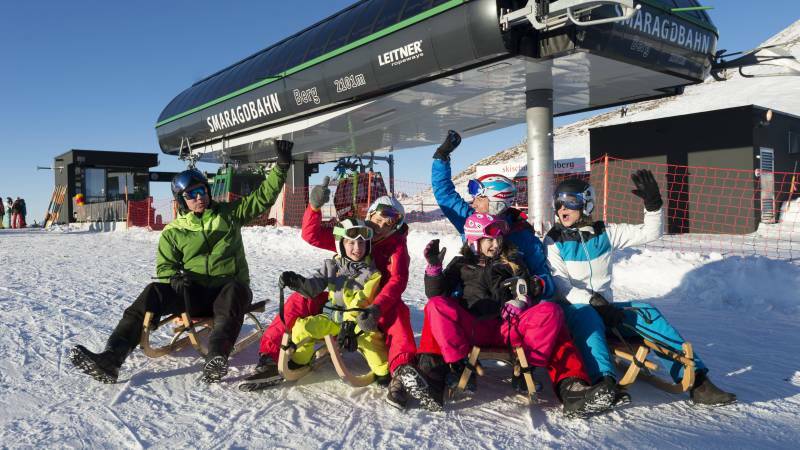 Around our hotel in the Salzburger Land you can find many different toboggan runs that promise fun for the entire family. 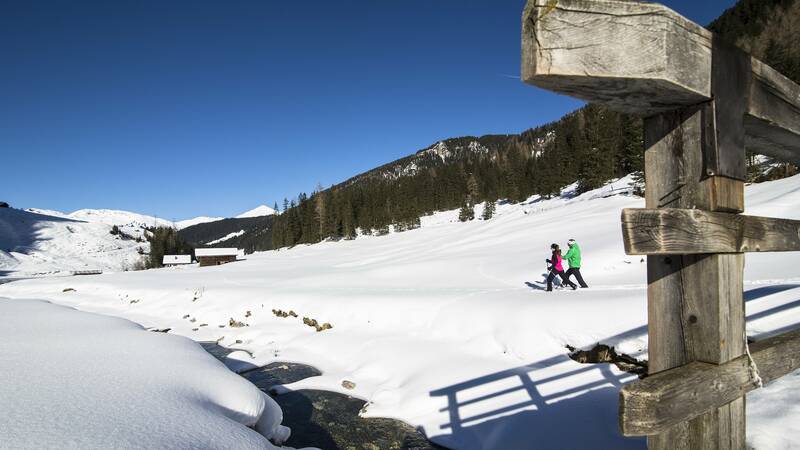 And those who prefer to take it easy enjoy the beautiful landscape of the Hohe Tauern National Park during relaxing winter hiking or snowshoeing tours. Snowshoeing is a very gentle form of winter sport, which ensures unforgettable experiences of nature. Every week, the tourism office in Krimml organises guided snowshoeing hikes for vacationers. The unhurried tours lead through romantic winter forests and snowy valleys and presents amazing views of the Hohe Tauern and the Zillertaler Alpen mountain chains. Whether bright sunshine or heavy snowfall – a ride in a horse-drawn carriage is always an adventure. This is a great opportunity to enjoy your winter holidays in the Hohe Tauern National Park in a completely new way. We are sure that your loved ones will be absolutely thrilled about it. Discover remote winter landscapes, draw the first line into snow-covered slopes and float over powder snow… ski mountaineering is simply awesome. On your holiday in the Hohe Tauern National Park you will find best conditions for ambitious ski tours. For beginners we warmly recommend a professional introduction. 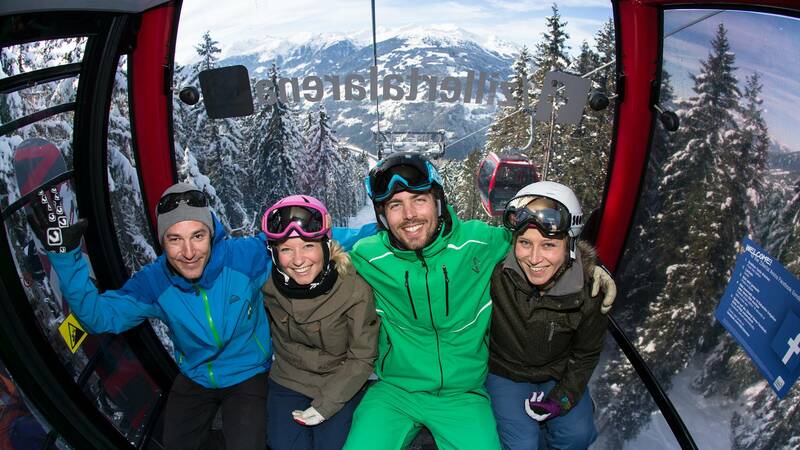 Therefore, the tourism association Krimml organises weekly ski mountaineering tours like the sunrise tour for beginners. An incredible variety of small and big animals lives in the Hohe Tauern National Park. Usually, wild animals are shy and you will only seldom meet them in nature. But the show feeding in the Habachtal Valley gives you the opportunity to observe mighty deer, cute fawn and majestic roe does from up close. A fascinating experience of nature for your family holiday in the Salzburger Land. 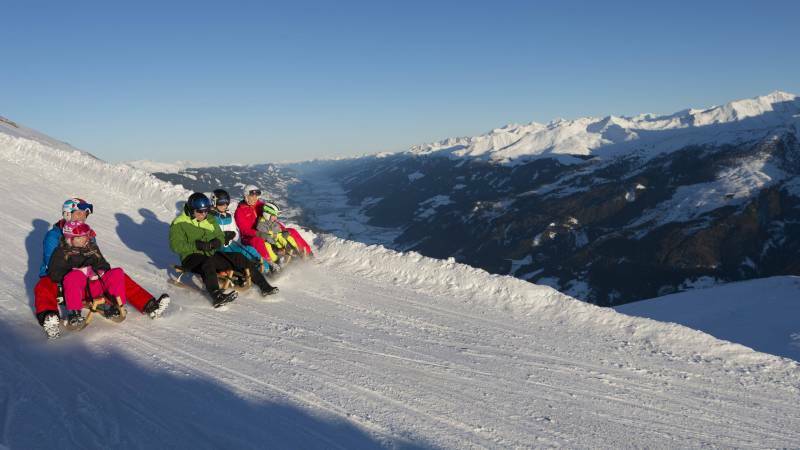 Therefore, we have come up with an entertaining programme for our winter guests in Krimml, including for example a ski race, ice stock tournaments, tobogganing at night with live music, folklore evenings and torch hikes. 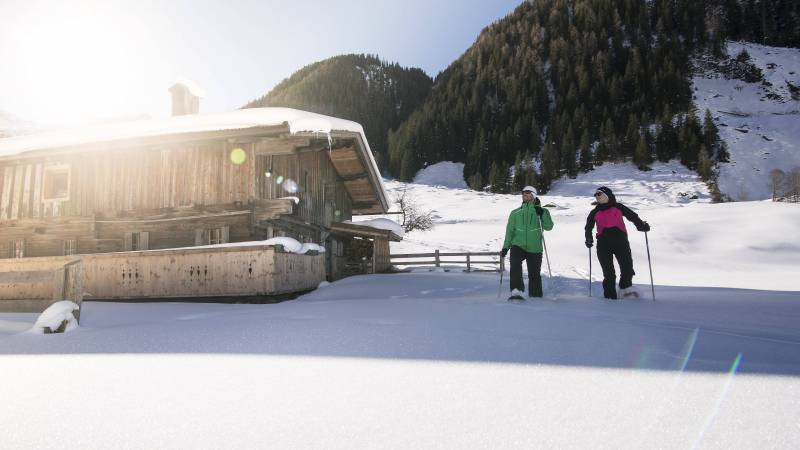 Moreover, perfect ski days can be celebrated with après-ski in the Treffpunkt Pub or afterwards in the Krimmler Kuhstall. 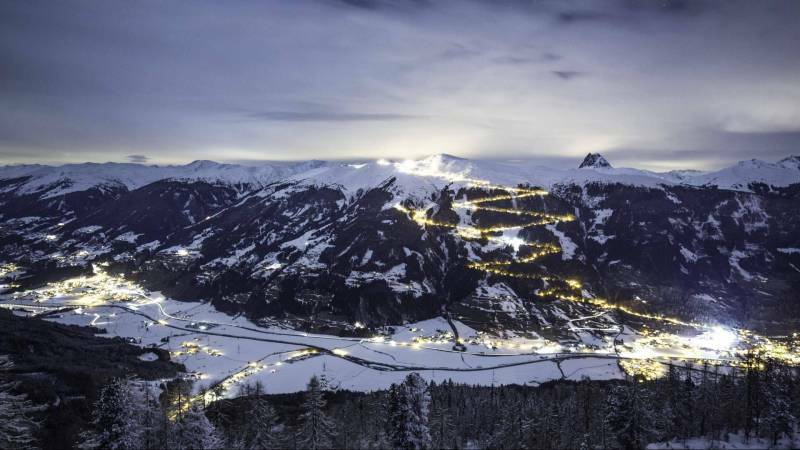 With a length of 14 kilometres and an altitude difference of 1,300 metres the toboggan run Bramberg is the longest floodlit toboggan run in the world. 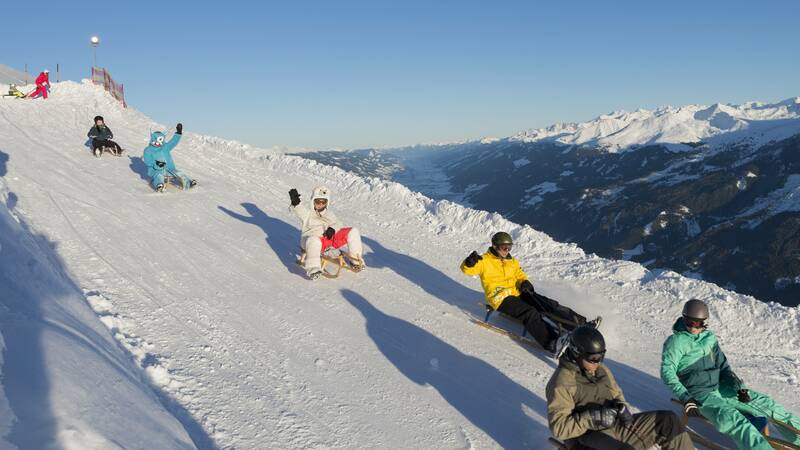 Therefore, you must not miss a trip to the Wildkogel Arena on your winter holiday in the Pinzgau.